When I was a student, I was searching for jobs on Google and Indeed and even Craigslist. I would open all the jobs in a million different tabs and then work through them using this three-step process. 1. Read the job description and required qualifications. 2. Think of a way to bend my limited experience into something that matched the qualifications listed. 3. Fill out the online application and move on to the next tab. How are you keeping track of all of these opportunities? Maybe your inbox is overflowing with a mix of automatic "We've received your application!" emails and soulless rejection form-letters. You've got notes about various job opportunities scrawled on pieces of scratch paper or hastily typoed in memos on your phone or copy-pasted into a txt file on your computer's desktop. Not to mention the dozens of pages you've bookmarked, the circles you've drawn on the Help Wanted section of a newspaper you found on the subway. Here's the problem with this system: if a company called you right now and said, "Can you come in for an interview?" you probably wouldn't have any recollection of who they are or what they do. 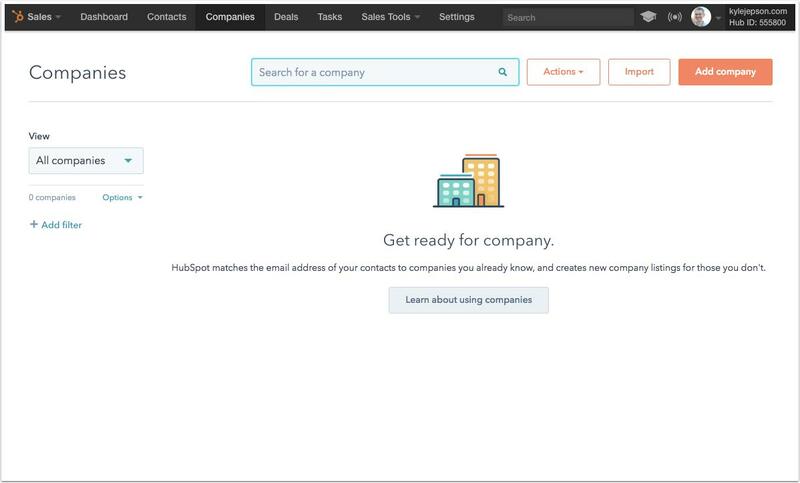 You've got to get organized if you want to land your dream job, or any job, and HubSpot CRM can help you do just that. What is a CRM, anyway? CRM stands for Customer Relationship Management. HubSpot CRM is specifically designed to help sales reps track their sales. Regardless of what kind of job you're hoping to get, right now you're acting as if you are in sales. When you apply to work for a company, you're essentially sending them a business proposal. You're trying to convince them that you're worth the tens of thousands of dollars they'll spend if they hire you. HubSpot CRM is just the thing to help you make that sale. HubSpot CRM is 100% free, so all you have to do is go to hubspot.com/crm and sign up for an account. Once you're in, you'll want to hop straight over to the Companies tab. This is where you're going to keep a list of every potential employer who's on your radar. Click the "Add Company" button, and enter the company's website in the Company Domain Name field. And then, magic: the CRM will search a few databases of public records and fill in as much information about that company as it can find. Chances are, you'll learn a thing or two about the company's size and location. Depending on how much of a web presence they have, you might also find information about their social media sites and other little nuggets that will help you get to know them better if they do ask you for an interview. As you continue your job hunt, anytime you find a company that interests you, go and add it to the CRM. Then you'll have them all listed together in one location. You'll be able to filter the list by company size, industry, location, and anything else that matters to you. You can also open each individual company record and add notes to it. This would be a good place to copy-paste job descriptions, your thoughts about why it would be a good place to work, and the things you said in your application. That way, anytime you hear from a company, you can open their record and immediately understand who they are and why you're in contact with them. Good stuff, but let's not stop there. 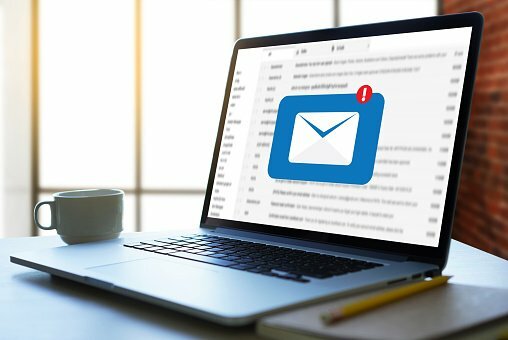 If you're using Gmail, you can install a Chrome extension that will track your emails. There are three big benefits to doing this. First, every email you send will be automatically recorded in the CRM. Then, when you open up the company record, you'll be able to see a chronological listing of all the conversations you've had with anyone at that company. Second, the CRM will create a contact record for every person you email, and it will associate those records to the appropriate company record. This means that the company record will show you a list of all of the people you've worked with at that company. You'll never forget a name again! This will come in handy once you start having some interviews. At the end of every interview, walk up to the receptionist and say, "Hey, I just had an interview with [name]. Can you give me their email address so I can send them a quick thank-you note?" This makes you looks super classy, and after you send the tracked thank-you note, you'll have a record of the person you met with. This way, if you need to follow up later, or if you think of any questions, you'll have a legitimate point of contact. Third, the Chrome extension will give you an instant notification when your emails are opened. I did this myself last time I was looking for work, and I can't overemphasize how comforting it was to know that someone was looking at my email. No more wondering, "Did they get it? Did they open it? Should I try sending it again?" You'll know if they opened it. And if they don't open it, you'll know it's time to try a different email address. 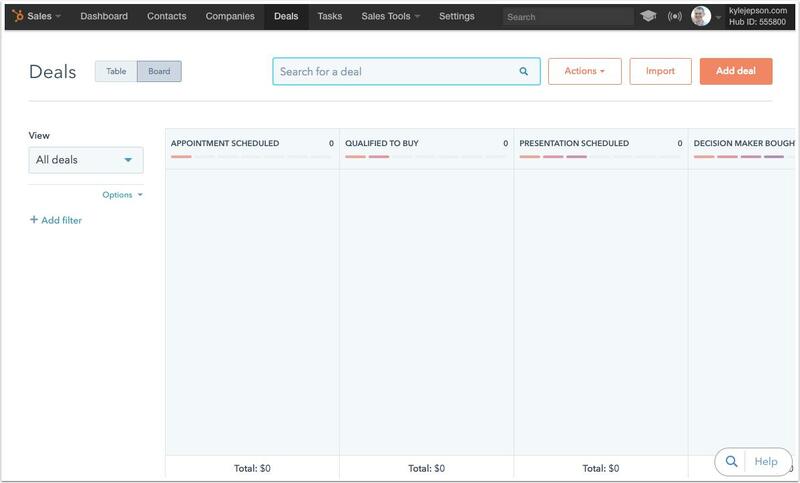 As I mentioned, HubSpot CRM is designed to help sales reps track their sales. For you, that means tracking the progress of your applications. To do this, you'll use deals. If you click on the Deals tab inside the CRM, you'll see a board for tracking sales. Each column represents a stage in the sales process. Now go back to the Companies page and find a company you've already sent an application to. Open its record and look for the Deals card in the lefthand column, then click the "Create a deal" button. Since you're tracking job applications, I recommend making the Deal Name the name of the position you applied for. Copy the name directly from the job listing. If the job title they use doesn't make sense to you, you can add a note to the deal explaining what the title actually means. But it's important to keep the official job title handy because that's what the company will use when they talk to you. If you've applied for more than one position at a single company, add multiple deals to that company record and name each one after the name of the position you applied for. Do this for all of the companies you've applied to. Now go back to the Deals page. You'll see all of the jobs you've applied for, and you'll be able to drag and drop them from one column to the next. As you apply to more jobs, be sure to create deals for them. That way, you'll have all of your applications laid out visually, and you'll be able to see exactly where they all are. If you find that a deal stays in a column for a long time--because you've either applied or interviewed and never heard back--reach out to the company and see if you can get a status update. If you find out that they've decided not to hire you, move that deal to "Not hired :(" and forget about it. You've got lots of other opportunities to focus on, so don't get distracted by the failures you encounter along the way. 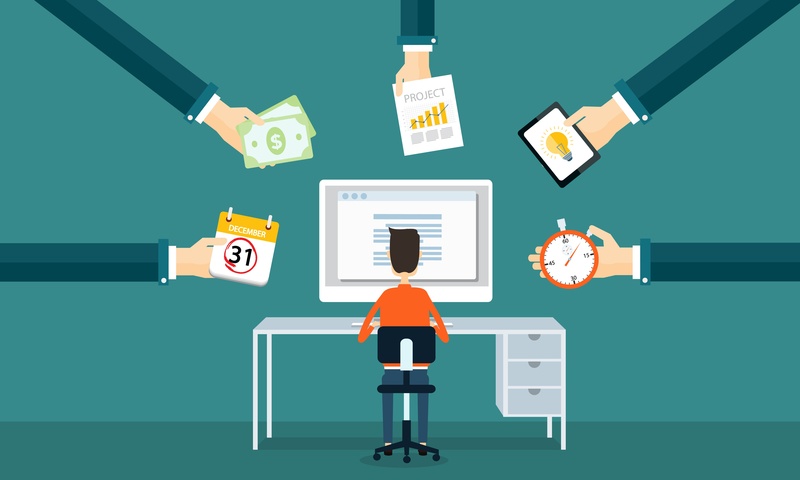 You now have a way to organize your job hunt, so what are you waiting for? Go tohubspot.com/crm and get started! If you run into any trouble getting set up, you can reach out to our online community for help. 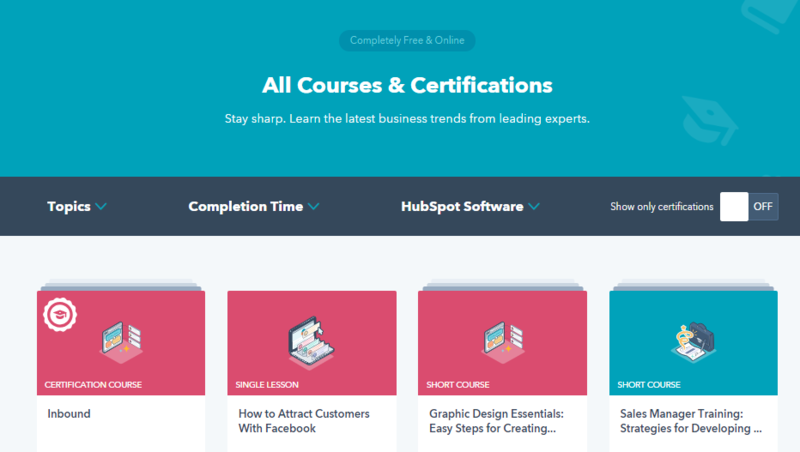 PS If you need additional help, be sure to check out the HubSpot Sales Software Certification. 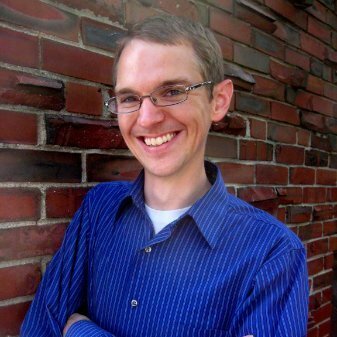 It's a free, hour-long, online course that covers all of the basics of HubSpot's sales tools. 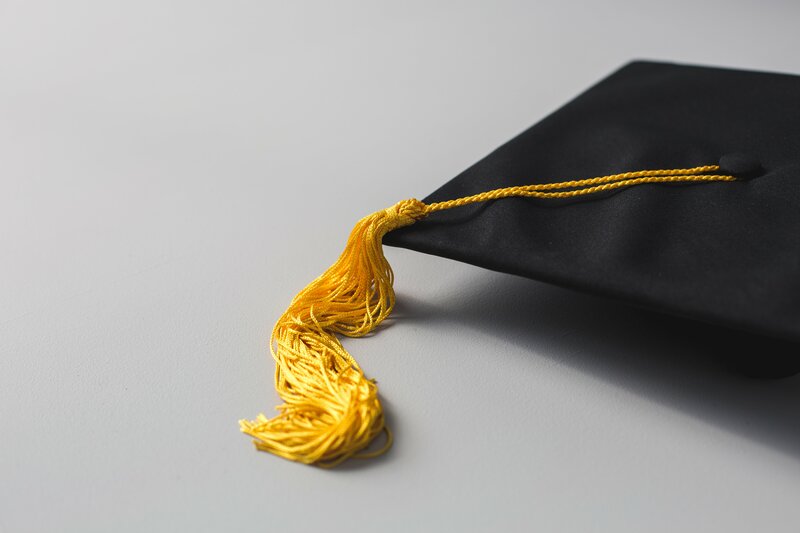 Once you complete the course, you'll get a nice badge and certificate--and an extra line added to the skills section of your resume.